NUS Geog Soc: Photo Challenge Geosphere Blast! 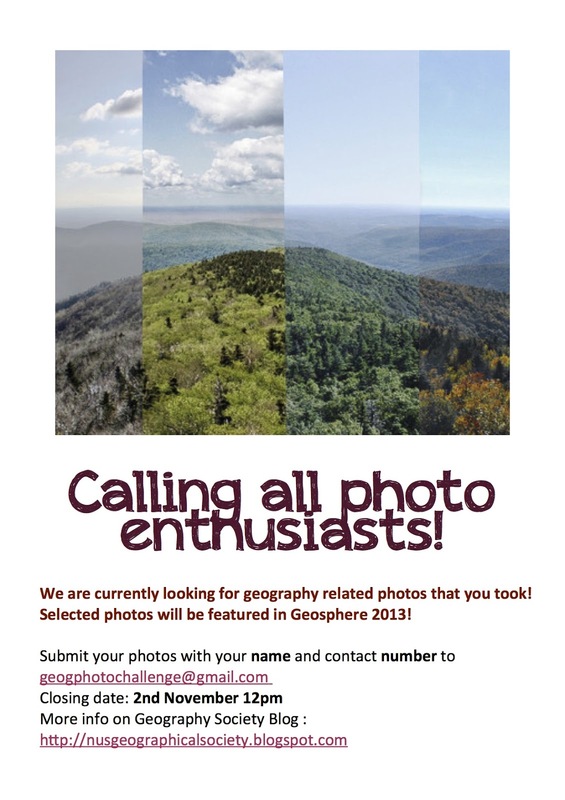 Join our photo challenge now and your photos may be published in Geosphere 2013! We are looking for photos that are related to geography and how you would represent what geography means to you.